A staple at every Tommy Emmanuel concert is “Angelina”, a song Tommy wrote for his daughter. This tune is certainly very challenging in some ways, yet in others it is surprisingly approachable. Drop D tuning (DADGbe). Capo fret II. This “cheat sheet” tab is helpful as a supplement. For greater and more accurate detail, you should buy the official sheet music from Amazon. Tommy Emmanuel is an artist who needs no introduction. He is recognized as one of the most eminent acoustic guitar players in the world today. In addition to being widely recognized as among the very best players, he is an incredible showman. Watching Tommy play in concert is an experience not to be missed. 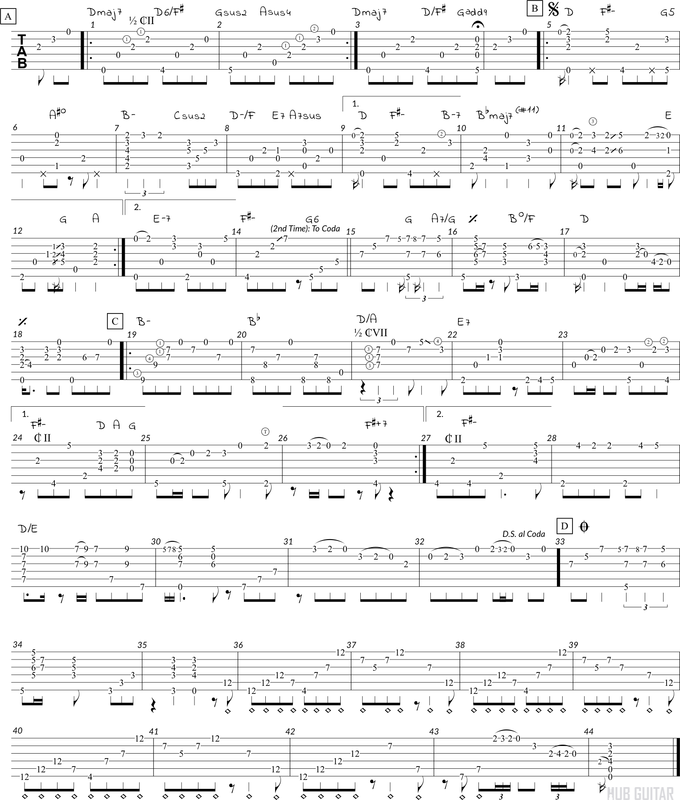 Copyright for this composition and its notation belongs to Tommy Emmanuel. Used with permission; please do not duplicate. We respect copyright, so if you have any concerns at all, please contact us.